Hotel Courtyard by Marriott, Sector 27, Gurgaon 122002. Promotional Stalls, Handmade Products, Organic Products. 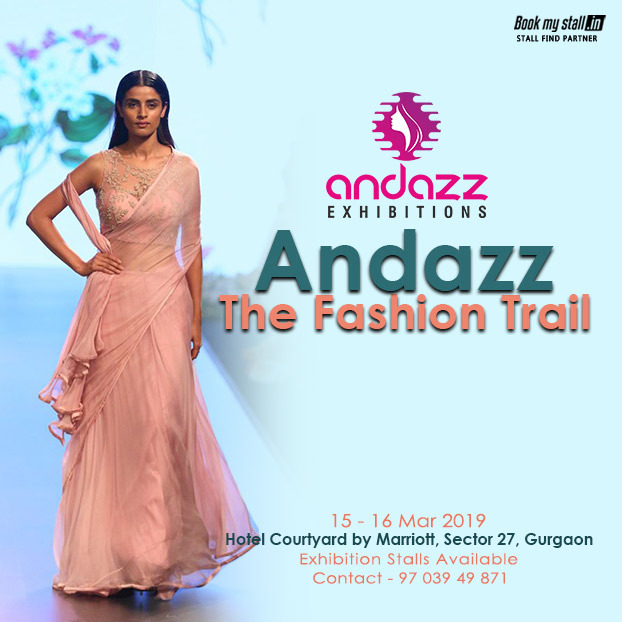 For More Details: Andazz The Fashion Trail @ Gurgaon Contact Us: +91 9703949871 | Mail ID: [email protected] 15th & 16th Mar 2019 From 11:00 AM to 08:00 PM Hotel Courtyard by Marriott, Sector 27, Gurgaon 122002. Stalls Price: 1 Day -18000/- 2 Days -35000/- Tables - 1 Chairs - 2 Full Stall - Octanorm.